Facebook recently introduced Secret Conversations, a feature available to Facebook Messenger mobile app users which encrypts messages from one device to another. The encryption feature allows users to send messages that can’t be seen by anyone, Facebook included. The messages are encrypted using Signal, a protocol created by Open Whisper Systems, and that is also used by WhatsApp Why WhatsApp's End-to-End Encryption Is a Big Deal Why WhatsApp's End-to-End Encryption Is a Big Deal WhatsApp recently announced that they would be enabling end-to-end encryption in their service. But what does this mean for you? Here's what you need to know about WhatsApp encryption. Read More . While you can send messages, stickers, and images, Facebook Messenger’s encrypted conversations won’t include group messages, gifs, videos, voice or video calling, or payments. You also can’t start encrypted group conversations. To get started, launch Facebook Messenger and go to your profile, and make sure that the feature is enabled. You can the tap the Create New Message button. Rather than select the contact you want to send the message to from the usual list, tap the Secret button in the top right-hand corner. From there you can start the encrypted conversation. When someone sends you an encrypted message, the notification will not identify who the message is from. Open a secret conversation with someone. Tap their name at the top. Then, to verify that the conversation is encrypted, compare your device key with the other person’s device key to make sure that they match. There are some caveats to keep in mind. Secret Conversations are only available in the Facebook Messenger mobile app, and both parties to the conversation must have the latest version of Facebook Messenger which has this feature. 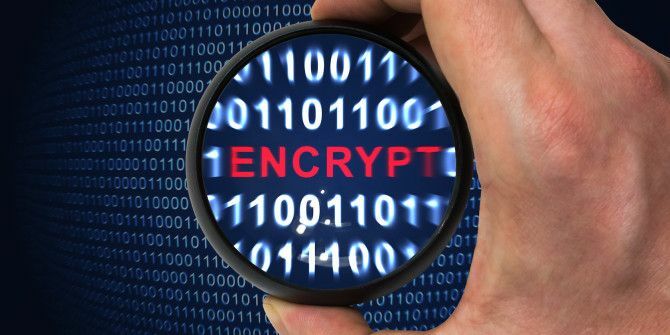 An encrypted conversation on one device cannot be continued on another — you’ll have to repeat the same process listed above to start a new encrypted conversation. Have you tried Facebook Messenger’s Secret Conversations? Let us know what you think of it in the comments. Explore more about: Encryption, Facebook, Online Privacy.